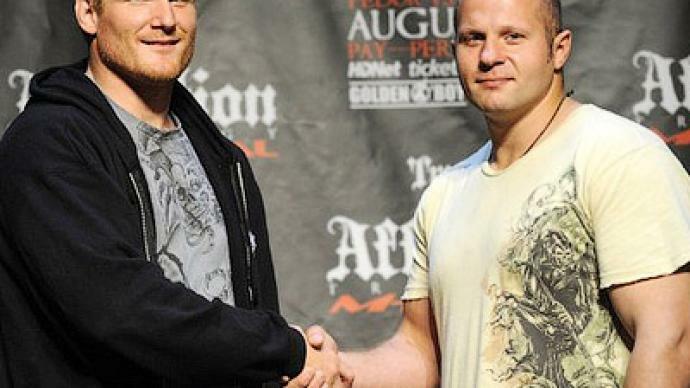 Mixed martial Arts legend, Fedor Emelianenko, says he is going to shout for Josh Barnett in the Strikeforce Heavyweight Grand Prix. ­The Russian stressed that he knows Barnett as a person and really wants him to claim the prestigious eight-man event at a press-conference in Moscow. The American faces Brett Rogers in quarterfinal on June 18. 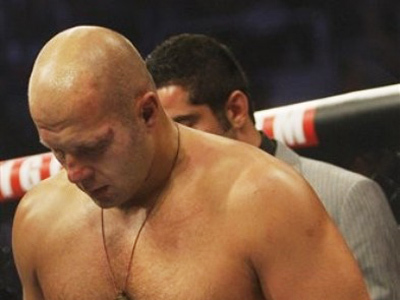 Fedor’s run at the Grand Prix ended on February 13 as he lost to Antonio "Bigfoot" Silva by a doctor’s stoppage. It was the second straight defeat for a man considered the best fighter on the planet, but the 34-year-old has no plans of finishing his career. “Nobody is talking about retirement at the moment. We’ll keep fighting. I'm staying with my coaching team – Vladimir Voronov and Aleksandr Michkov. We’ve only invited Dutch coach Peter Graham to work with us,” Emelianenko said. Fedor’s next bout is scheduled for July 30 as he takes on Dan Henderson of the US, and he says he is working hard to get rid of some of his weaknesses – especially the foot techniques – before stepping into the ring. “I'm always giving it plenty of time. But I have no desire to use them in battle. My thing is the hands. I’m more into boxing,” Emelianenko said. “When I took up mixed fighting, I began to study the impact technique. I never practiced with boxing stars – I only had several workouts with Denis Lebedev. All I can do is to the merit of my coaches and nobody else,” he added. Fedor’s friend Natalia Ragozina has problems organizing bouts, as most of her opponents fear her, but the Fedor says he does not experience such problems himself. “Natasha has already beaten everybody, so it’s difficult to find an opponent for her. But I still have rivals. 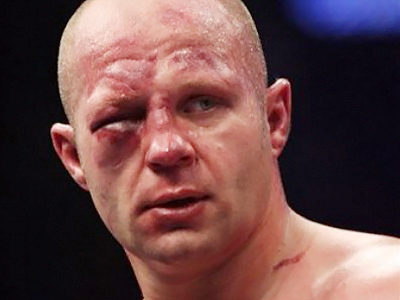 There are many who want to challenge me,” Emelianenko explained. Fedor is known as a very religious person and he believes his Orthodox faith does not hamper his abilities in the ring. “I don’t have any aggression during fights. I just try to do what I can. First of all, I’m an athlete,” he said.